Nevertheless, past performance is no guarantee of future results, as the stock market disclaimer goes. Within the last month or two, I’ve seen two very respectable, puzzly people say “Are escape rooms still a thing?” and “I kinda feel like I’m over escape rooms now? Am I just getting old?”; no names, no pack drill, no trace on Google. 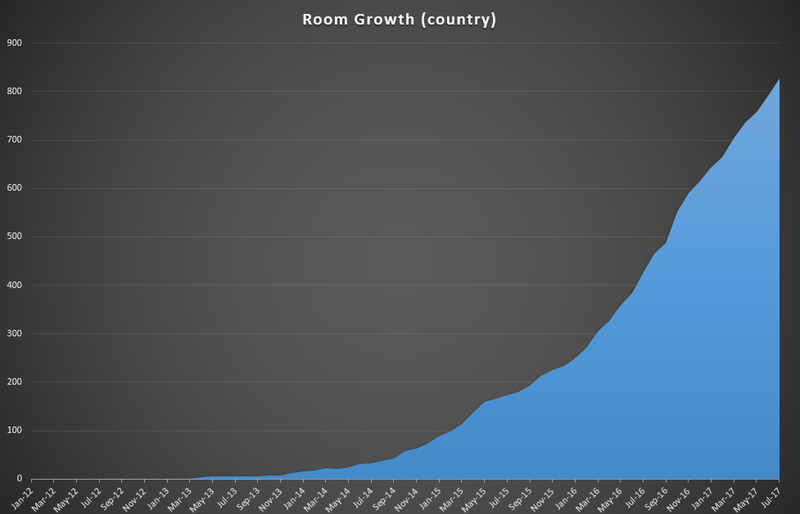 On the other hand, someone else made unprompted negative comments about the ubiquity of the escape room genre in public as far back as GameCamp 2016, now almost 15 months ago. As I said at the time, “one of the ways you know your genre has made it is when there’s a backlash against it“. If you’re serious about starting your own room, don’t let me put you off; keep doing your research, and you might well get a lot from this seminar on the topic – though a lot of the legal specifics are from the US rather than from the UK. I firmly believe that (a) escape room games have an awful lot to offer that other genres don’t, (b) we’re still only really scratching at the surface of what the wider escape room game industry has to offer and (c) I don’t think you’d find many people willing to argue that the overall quality of new games hasn’t gone up over time. I also firmly believe that the wider escape room game industry doesn’t have a right to exist and keep growing, and will need to keep innovating and reinventing itself over time, sometimes in large ways and sometimes in small ones, in order to remain in good health. So far, so very very good; I’ve privately called the top of the market in the UK at least three or four times – and so far, quite happily, I’ve been wrong each time. Ken reports that the number of closures so far this year has been remarkably low; it may be harder to track closures than openings, for things can just fade away, but this is another indication still of good health.